On April 16, 2014, South Koreans learned the tragic news that the Sewol ferry carrying 476 people, mostly secondary school students from Danwon High School, capsized. 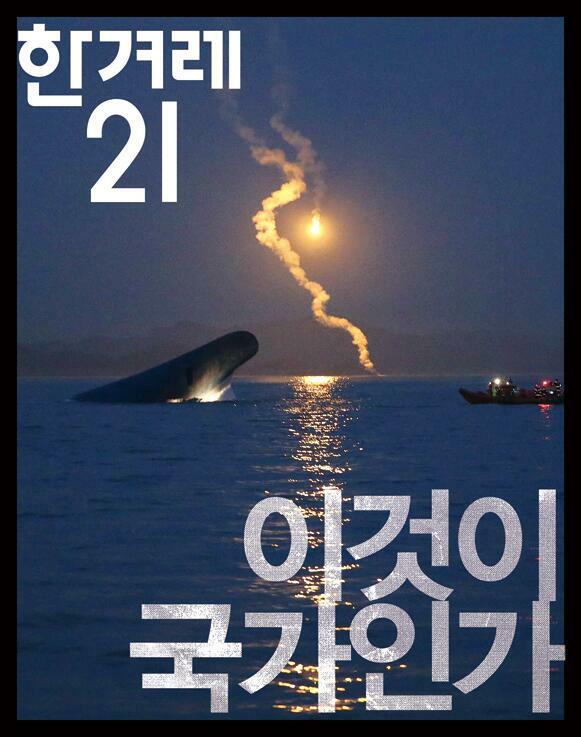 Right after the accident, Korean mainstream media reported that all the 338 students were rescued. After several hours later, however, it turned out that only 172 people including captain and crews were rescued before the ferry sank. Hundreds of students were still in the sunken ferry. Since then, the number of survivors did not change despite, according to mainstream media coverage, the “unprecedented rescue operation of the Korean government.” This rescue operation, however, turned out to be a media fabrication driven by the nation-state and its government-friendly mainstream media. 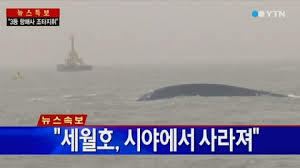 In the first few days after the sinking of the ferry, the South Korean government made very little effort to rescue the victims. Only helicopters and star shells, which did not matter at all in the actual rescue of the people underneath the sea, were brought to the disaster scene for showing. No one was rescued. 294 people are dead. 10 people are still missing. A number of scholars, journalists, and religious and social authorities have written about this human-made disaster. Their critiques claim that the neoliberal deregulation policy allowed the unsafe and old Sewol ferry to keep sailing and that the authoritarian government prevented all civilian efforts to investigate what really happened during the disaster. Critics also asked why the government could not (or did not) rescue the victims in the key time frame after the ferry sank. A few months later, some critics began to focus on the seemingly Fascist conservative groups (CNN iReport) that publicly criticized and mocked the victims’ families, in praise of the current President Park Geun-Hye, the daughter of the former dictator Park Chung-Hee, who is believed to have led the incredible economic growth of South Korea. I have also written blog posts, requesting Christian groups, in which I am a member, to participate in the emergent social movements to support the victims’ families in their efforts to seek the truth of this disaster (They have been trying to enact the so-called “The Sewol Ferry Special Law” and establish an independent commission with full authority to investigate and indict). Prominent conservative Protestant leaders were urging their followers, through their sermons, to keep silent and repent in their private praying places, and thus, to step back from this political disturbance, from the public sphere. I argued that, contrary to their seemingly religious message of “Do Not Be Political”, this was a crucial political act trying to depoliticize Christian civilians who try to present themselves and speak for the victims in the public sphere. I criticized how such sermons served the dominant social order in and through the successful consecration of the silence about social injustice and the desacralization of Christian believers’ participation in the public sphere. Despite my ongoing intervention in the public discussion on the disaster, however, I’m still anxious about discussing scholarly issues raised by this ethical disaster. When I write about this ethically-sensitive event, whether I intend to or not, I find myself in a difficult position as I think about scholarly issues that might be quite distant from and indifferent to the actual sufferings of the victims and their families. My writing might not only objectify and instrumentalize the social realities that would be traumatic experiences to most South Koreans and particularly to the victims and their families, but I might also represent myself as an expert who has authority to discern and determine what is really happening in the South Korean disaster. Keeping in mind the ethically ironic and difficult issues that my writing confronts, I want my blog post to be considered as one of possible observations and interpretations on the ongoing social phenomenon brought about by this disaster, especially in terms of religion and digital media. Rather than trying to demonstrate and determine what has happened in the disaster with a closed conclusion, my blog post aims at raising six scholarly themes that can be and need to be discussed, thought, and re-articulated in the interest of media and religion scholarship. Because of a great deal of information and scope to be discussed here, I hope to divide my contribution into two posts to be published within the next two weeks. This blog post will cover two of five themes: 1) hyper-connectivity in and through media event/spectacle as the condition of collective traumatic experience of the nation and 2) the structural transformation of the South Korean journalistic field. And my next blog will cover the other three themes: 3) the archiving of social memories through digital media, 4) the rise of civil religion and/or Messianism, 5) the cultural politics of image and the aesthetification of the social, political and ethical. When the stern of the ferry eventually sank underneath sea, it meant that the last chance to rescue the survivors in the ferry was completely gone. After this calmly horrible, miserable media spectacle was released, most Korean people began to collectively feel a deep helplessness, anger, and frustration. In fact, in South Korea, there have constantly been man-made disasters in which numerous people were killed, including a department store collapse, a gas station explosion, a subway fire, and so on. 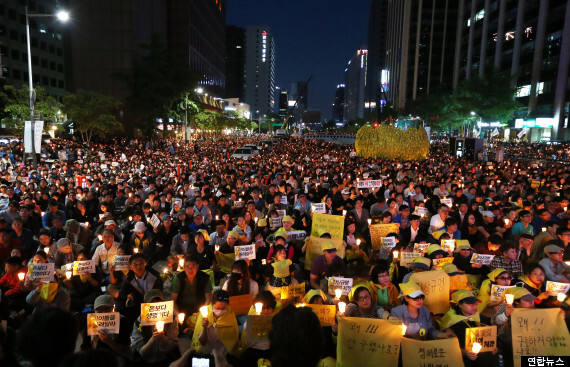 However, none of the prior Korean governments confronted such a huge civilian protest right after the happening of a disaster as the current government. Then, what made the Sewol ferry disaster that different from other disasters? What made this disaster explode into the severe civilian protest against the current Korean government? Some people would say it is because of the fact that most of the victims of the Sewol ferry disaster were innocent young students that the stories of victims were greatly dramatized and aroused more sympathy than those of victims of other disasters. Others would say that the crucial incompetence of the Park Guen-Hye government to sympathize with the sufferings of the victims and their families aroused an irreversible distrust of and anger at the current government. Although, of course, both are absolutely plausible explanations, another factor I want to highlight here is the crucial role of the digital media environment in shaping the collective experience of the continuously and simultaneously mediated Sewol ferry disaster. Korean society is one of the most hyper-connected in the world. General internet penetration of South Korea is 84.8%. South Korea also has the cheapest and fastest broadband in the world. In addition, in 2005 already, 96.8% of Korean mobile phones had internet access (Ahonen, T. & O’Reilly, J., Digital Korea, 2007, p.242). And according to OECD statistics, mobile broadband access in South Korea is stated at 89.8%. Thus, it should be noted the unprecedented intensity of the mediated perception and experience of people on this disaster, especially enabled by this highly developed digital media environment of South Korea and intensified by the relatively long duration of the disaster. Unlike other disasters, the possible time for rescue was considerably long. Live report from the disaster scene aired for at least 4 or 5 days by a variety of mass media including YTN which is 24/7 news channel. During this key time frame for rescue, people in South Korea were able to continuously and simultaneously watch this calm but horrible disaster scene through online broadcasting because most of South Koreans could use the internet on their smartphone whenever and wherever they are. 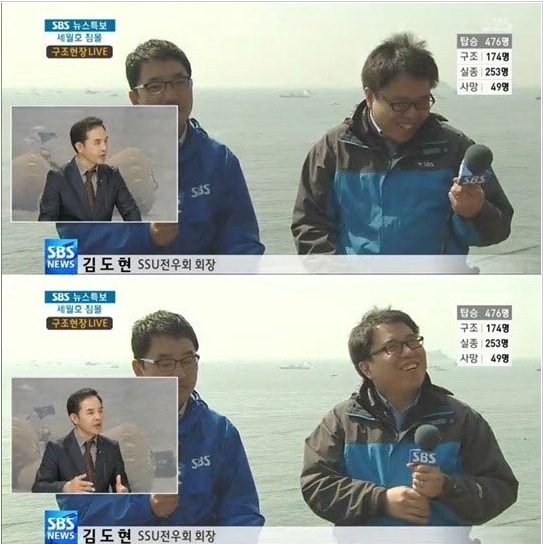 The live report on the Sewol ferry disaster was a sort of media event/spectacle in and through which most of the national populations were able to collectively and simultaneously participate in the media-related practices of watching, listening, reading, searching, sharing, and commenting on the disaster and its related social phenomenon. During the three days when a rescue was possible, most of the South Korean mass media kept reporting the weather condition of the disaster scene, the ongoing process of rescue (this turned out to be mostly a manufactured media spectacle), possible rescue scenarios, and so on. It was almost impossible to avoid the disaster-related news, videos, images, and comments in mass media and digital space during the time. Most people stayed in digital space and communicated with each other, waiting for a miracle. But nothing happened, and no one was rescued. The effort of the state to rescue turned out to be useless or just for show. For these first three days of the disaster, while being hyper-connected to each other, people in South Korea had to keep helplessly observing the very slow death of young innocent students and the miserable reality of their nation-state that is incompetent or disinterested in rescuing its people. This media spectacle quickly turned into a traumatic experience in which people collectively felt helpless, frustrated, and angry. The crack between the social imageries of and the actual operation of the modern state of South Korea emerged as undeniable social realities. It was not only the state but the mainstream journalism that revealed its incompetence in the ongoing phase of the disaster. Noteworthily, an alternative digital press called NEWSTAPA gained a great credibility and the popularity of the nation in the beginning phase of the disaster. By making and distributing a YouTube video clip (1,019,753 views), on a day later right after the disaster, Newstapa reported what South Korean mainstream journalism did not report at all, such as the unedited scenes showing the meeting between the angry victims’ families and the government officials in charge (and in panic) who could not even confirm the list and number of passengers, which kept changing up to several days after the disaster. Two days after the disaster, Newstapa also reported how the mainstream broadcasts tendentiously edited and omitted in the report what actually happened in the disaster/rescue scene in favor of the President and government. It also focused on showing the anguish distrust of mainstream journalism by the victims’ families through this YouTube video clip (233,422 views). As people’s anger at and criticism of the incompetence of the government got more severe, the mainstream broadcast stations began to decrease the overall reporting on the Sewol ferry disaster. The credibility of the top three broadcast stations of KBS (Korea Broadcasting System), MBC (Munhwa Broadcasting Corporation), and SBS (Seoul Broadcasting System), was severely damaged. The inappropriate smiles of the news reporters in the disaster scene reported by SBS, worsened this social distrust of and anger at the mainstream mass media news reporting. A great number of people began to gather in alternative digital media broadcastings such as Newstapa and FactTV. Several days after the disaster, JTBC (Joongang Tongyang Broadcasting Company) news reporting began to gain a huge credibility and popularity. Among many mainstream mass media, JTBC New 9 was the first media source that reported news live at the disaster scene and had interviews with the victims’ families (they had refused to be interviewed by other mainstream journalists). Especially, the news anchor Son Seok-Hee was the crucial reason that people gave credit to JTBC. In this spectacular scene, he paused during an on-air broadcast to fight back his tears right after hearing the news that the daughter of the expected interviewee was found dead. This was a crucial image that Korean people expected to and desired to see from social authorities but did not see from the President and government officials. 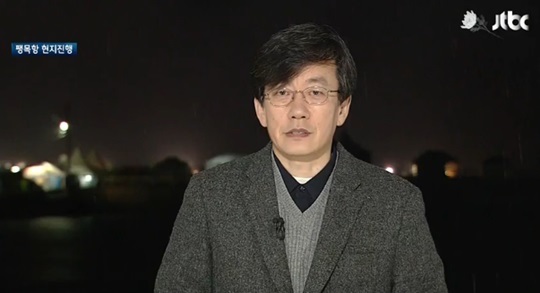 The live news reporting of Son Seok-Hee in the disaster scene of Paengmok harbor aroused a huge sensation and brought a great deal of credibility to JTBC 9 NEWS. 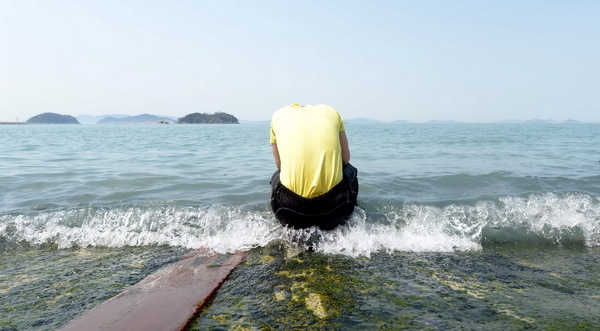 The human-made Sewol ferry disaster, to a great extent, offered a crucial chance or context for alternative digital journalism to gain symbolic capital and power, and thus accelerated and intensified the structural transformation of the Korean journalistic field. Before this event, most people did not doubt the credibility and authenticity of the mainstream news media contents to such an extent they would choose different information sources. In the face of the national disaster, however, people in South Korea dramatically changed their choice of media sources, and this greatly transformed the distribution of symbolic capital in Korean journalism. For about a month after the disaster, it turned out relatively small, alternative digital new media were able to attract bigger audiences and funds only if their news contents were live, timely, and revealed the untruth of the current government and mainstream media. Without TV channels, they were able to gain over one million views through social networking sites offering hyper-connectivity within the nation. And now, South Koreans are witnessing the rise of non-institutionalized civilian journalism: for instance, 416 TV, the YouTube channel directly made and operated by the Sewol ferry victims’ families, and You Are the Media, the Facebook group made and operated by a Facebook user. You Are the Media posits itself as a sort of news portal site through Facebook, disseminating not only alternative digital journalism news related to the disaster but a variety of columns in which Facebook users, who are not professional journalists, write about the disaster and its related social phenomenon. The 416 TV shows live broadcasts of the protest scene in which the victims’ families are calling for the enactment of the Sewol Special Law. These live broadcasts are shown without any mediation or editing, a typical practice of institutionalized mass media news reporting. Yes, the digital media environment in South Korea generates this particular form of autonomy, agency, and the imagery of immediacy (unmediated authenticity) to the people in need of public displays to the extent that people have never imagined before. The journalistic field of South Korea is, to a considerable extent, being transformed.